Rob Tillett has been an astrologer for more than three decades. A poet, musician, magician, healer, dramatist and composer, he is the editor and publisher of Astrology on the Web and has written many of the articles on this website. Among other topics, he studied the Philosophy of Science at university, as part of his degree. In the second part of the "What Is Astrology" series, Rob Tillett writes that the strength of astrology comes from the accumulated knowledge of centuries of research and observation, developed and scientifically organised within a deeply intuitive, even poetic, understanding of the essential nature of the world, consciousness and the environment. Combined with accurate mathematical and scientific data, today's astrologers can use this established knowledge in the generation of valuable psychological, economic, or predictive profiles. Is Astrology scientific? The simple answer is yes—and no. Astrology, like medicine, is an art based on a science. The natural world is not as chaotic as it seems on the surface. Science has always sought to discover the underlying order that governs the appearance and behaviour of phenomena, from sub-atomic particles to the movement of galaxies. Science also seeks an understanding of human behaviour through biology, psychology and economics, for example. Scientists set out to find "natural laws" that govern phenomena, then look for ways that the knowledge of these interacting laws (repeatable patterns of phenomena) can be applied for our benefit. The scientific method in a sense dates back to Ancient Greece. Plato taught that real knowledge comes through intuitive reasoning. His student Aristotle held an opposing view: that knowledge comes through empirical observation and measurement. The scientific method is based on observation, rather than intuition, so it has its origins in Aristotle. It was developed by leading thinkers, Arab, Renaissance and Modern, up to the time of Newton, who allowed reasoning as well as observation. Einstein, Popper, Kuhn, Lakatos and Feyerabend have since made significant contributions. Observation: Identify and describe a phenomenon, or set of phenomena within an area of research. Hypothesis: Formulate a testable hypotheses to explain the phenomenon. Experiment: Use the hypotheses to predict other phenomena, or to predict the results of new observations that can be quantified and tested. Experiments must have controls and a large enough sample to produce valid results. If a hypothesis fails, it must be rejected or modified. If a hypothesis is not falsified, invite other independent researchers to replicate the experiments. Verification: If independent tests do not falsify the hypothesis it may be put into a theory and published. It may eventually be seen as a natural law. Many great discoveries have come through leaps of intuition, justified by mathematical models, followed by a lot of hard work by teams of "normal scientists" to fill out the details. "The simplest picture one can form about the creation of an empirical science is along the lines of an inductive method. Individual facts are selected and grouped together so that the laws that connect them become apparent. However, the big advances in scientific knowledge originated in this way only to a small degree. The truly great advances in our understanding of nature originated in a way almost diametrically opposed to induction. The intuitive grasp of the essentials of a large complex of facts leads a scientist to the postulation of a hypothetical basic law or laws. From these laws he derives his conclusions." In earlier times, astrology and astronomy were one and the same: two sides of the same coin, so to speak. Astrologers, known as mathematici, were observers and cataloguers of the stars, as well as interpreters of their effects on human beings and society (along with natural phenomena, such as the tides and the weather). A vast body of knowledge was built up by the scientific observations, analytic identification of patterns, and the intuitive projections of astrologers. Scientific observations, measurements and calculations are still used in astrology to generate the framework for meaningful, symbolic patterns. These patterns, categorised in the literature like a database of medical symptoms, reveal much about the way our world is constructed; they enable us to analyse, explain and predict social, political, emotional and other important characteristics of life on earth. The results are generally reliable. Could astrology be as much or more of a "science" than, say, psychology, sociology, or economics? It certainly has more of a history, and many more runs on the board! Precise mathematical techniques are selected by the practitioner from a wide range of procedures, depending on the subject under investigation. As in music, some combinations of techniques work, and some do not (the student soon learns the difference!). And, as in any science, new techniques are from time to time developed by astrological researchers in an effort to refine and improve the accuracy of the delineation. A vast database of analytical techniques and interpretative commentary has been accumulated over the centuries, through the dedicated observations and practical applications of astrological practitioners. Some have been discarded as knowledge has developed, while others have been found to be effective, so are widely used today—as happens in all fields of knowledge. Modern astrologers have also made impressive contributions, researching, testing and categorising the effects of the more recently discovered planets such as Uranus, Neptune and Pluto, the influence of mid-points, asteroids, galactic centre and so on. It's very much an ongoing process. The art of astrology lies at one level in the construction of accurate profiles of personality and relationship, through the skilled interpretation of symbolic patterns, and in mapping the general tendencies that present themselves over the course of our lives. This is a profoundly developed form of personal analysis, which has influenced modern psychology in its theories of personality and temperament (though in a selective and much simplified form). Astrology also brings a unique form of spiritual guidance, at the level required by individual consciousness according to its level of personal (or soul) growth. There are of course other applications of astrological techniques, including forecasting political, economic and environmental outcomes; selecting appropriate times for marriage, new business ventures etc; relationship analysis; medical astrology; relocational astrology; and horary astrology, providing answers to questions. Astrology is a wholly developed, mature world-view, but one which is still able to evolve as new problems arise and new situations need explanation. Astrologers use scientific facts and organised sets of information in the mapping of human consciousness and as keys to the understanding of experience. This is an interpretative process, which does not depend on particular theories about how planets can affect us, or on whether they are a sort of synchronous clock ticking along with psychological and social factors on earth, or on some other causal process. The strength of astrology comes from the accumulated knowledge of centuries of research and observation, developed within a deeply intuitive understanding of the essential nature of the world, consciousness and the environment. Combined with accurate mathematical and scientific data, today's astrologers can use this established knowledge in the generation of valuable psychological, economic, or predictive profiles. The questions on the lips of many skeptics at this point are: "Is astrology testable?" and "Can astrology produce new knowledge?". Well, any prediction made by a good astrologer can be tested. If an astrological prediction warns of an impending natural disaster, a business slump, or a political change and the forecast factors either come to pass or fail to coalesce, that's a test. Either the event happens as predicted, or it does not. Either—and this is much more difficult to quantify—the character traits and psychological tendencies are present in the native, or they are not. Now these sorts of issues arise in all social sciences, yet they are not falsified as sciences, even if a favoured technique may eventually be dropped. Unfalsifiable waffling sometimes presented as astrology by some writers is just waffle, not astrology—just as obscurantist jargon in other disciplines is not science but smokescreen. When we are dealing with human beings, the issues are much more complex than when we are dealing with rocks. Rocks have no will of their own! It's interesting that the idea that a hypothesis once falsified (failing a scientific test) is debunked is itself false, as science regularly proceeds whether a theory is falsified or not. This is because valuable work can be done with hypotheses that are in some ways flawed (a detailed discussion of this lies outside the scope of this article). Astrology is a mature yet still vital system, despite what some might see as anachronisms. New knowledge seems on the surface to be a harder one. The procedure for identifying the astrological value of a new planetary discovery would seem to be just this, however, and there has been quite a bit of that in modern times. The recent development of mid-point theory, harmonic theory and a number of other astrological innovations show that it can be done. Similarly, the identification of collective tendencies, say, in finance and stock market charting and prediction is also an example. 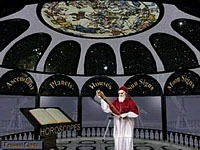 But every new life and every new venture contains the production of new knowledge, as astrology in trained hands is able to make accurate personality and temperament analyses, combined with lifelong forecasts covering important life events—whether in a human, a marriage, a corporation, a community, or a nation. Again, a lot depends on the skill of the practitioner. But as in modern science, teams working on a problem can make all the difference. Individual geniuses, in science or in art, are rare. Science uses teams now, but the really valuable discoveries are based in intuitive understanding, rather than analysis and measurements (which are the business of "normal scientists" as Kuhn called them). We need to remember that science is a catch-all term and that there are a number of sciences within the overall framework, the champion being physics, as it is primarily to do with a supposed inert and objective matter and its characteristics (at least in the view of the old establishment). The so-called "soft sciences", like psychology, sociology and economics are even dismissed as sciences at all by the cheerleaders for the "hard sciences", physics, astronomy etc. 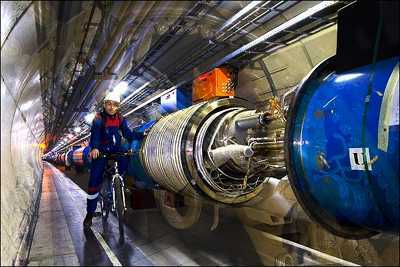 But even physics is undergoing a revolution, as the concept of objective matter dissolves into mystery at the quantum level, with dark matter and dark energy now being the kings of the inconceivables. Astrology is a vast kernel of beauty and knowledge, wrapped in a shell of systematic, scientific and mathematical techniques. It was originally an inspired and intuitive creation by unknown geniuses hundreds of years before the Common Era; it was gradually fleshed out by "normal astrologers" during the Hellenistic period culminating in Ptolemy, by Arab and Persian scientists in the Middle Ages and then expanded by Renaissance thinkers and English practitioners such as Lilly and Culpeper. It declined somewhat in the West during the so-called Enlightenment of the 18th Century, but the flowering of astrology began afresh in modern times, which have seen the development of psychological and esoteric astrology, combined with the invention of advanced techniques, as well as a revival of interest in hitherto lost or abandoned ancient systems. So is astrology scientific? Yes, and no. Astrology is grounded in a profoundly holistic view. Astrologers believe that all things in our universe are intimately and deeply connected. The world, as we see and experience it, is a great deal more like a being than a thing. The world and its inhabitants are linked, like a body and its cells: the wellbeing of the one depends equally and mutually upon the wellbeing of the other. The spiritual side of astrology connects us consciously to the intentions of this world-being and how they apply to our lives as we live them. Astrology is fundamentally opposed to the materialistic, mechanistic view that has underpinned the advances of modern science until quite recent times. Astrology takes a teleological, intentional and contextual view of the world, one which is dismissed by science as "not scientific". Herein lieth the rub. Our universe is not a random amalgam of inert matter and material energies; it has its origin and its basis in a conscious ground of being, which expresses itself at all levels. This expression has led to the very state of the world that allows against all odds for our actual existence. So whether or not we class astrology as scientific, it can be shown to make strong, valid and factual claims, testable predictions, and give valuable insight into the meaning that underpins the behaviour of the cosmos and its inhabitants. The science of astrology is statistical and mathematical, based in the observation and categorization of phenomena and their related effects. The art of astrology lies, at the most profound levels, in the meaningful interpretation of powerful symbols, which are the keys to the understanding of the cosmos, itself an expression and manifestation of consciousness. Through making sense of a range of apparently chaotic and unrelated events, astrology in the right hands shows how these events relate directly to us and generate the daily experiences of our lives, our relationships, our society and our environment. What is the difference between Astrology and Astronomy?